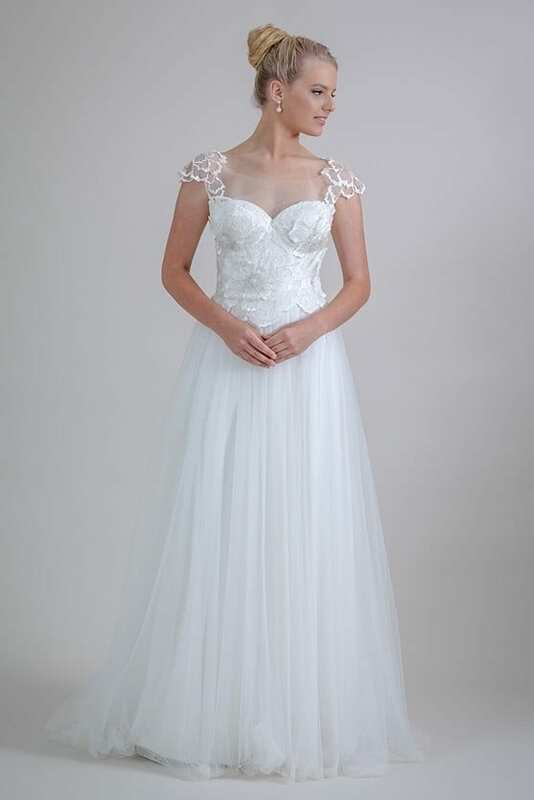 A timeless tulle A-line gown with structured bodice trimmed with floral lace applique. 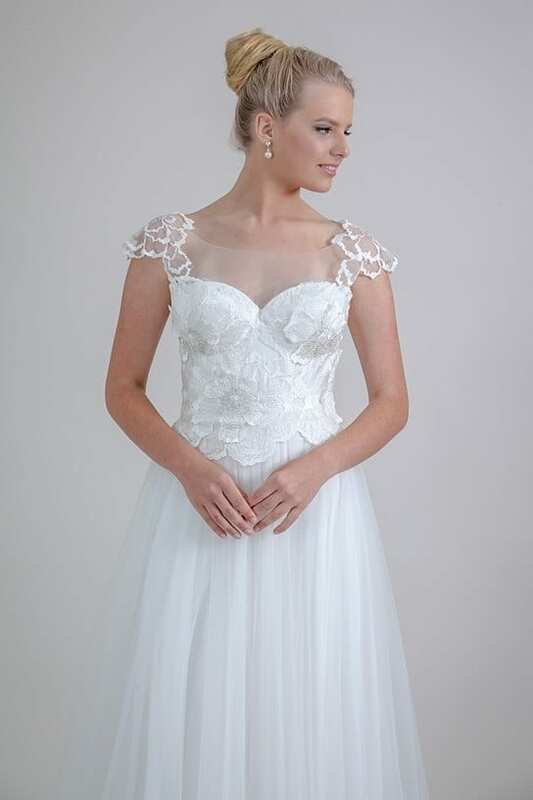 It features cap sleeves with sheer detailing. This gown is hand made on the Sunshine Coast by Erin Clare.